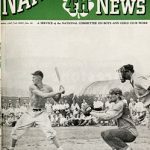 According to 4-H History Preservation, 4-H Softball has a rich national 4-H history, since the beginning in the 1930’s it has transformed and enriched the life of 4-H members and alumni to this day. 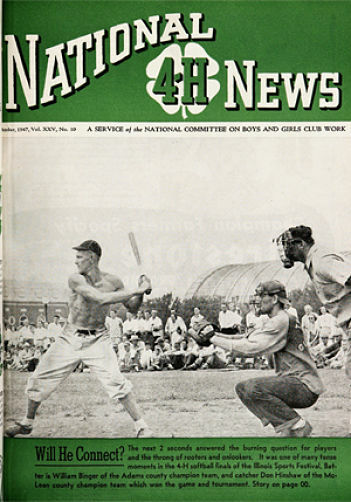 Frank Graham, former Chairman of Extension Youth Development at the University of Missouri, advocated for the sport in article published in June 1966 in the National 4-H News. He explained, “Sports help make young people well rounded. They develop physically, mentally, morally and socially. As a nation, we are falling short of top physical condition, the experts say. We need more exercise, and 4-H can help. Mental development comes from sports in the form of alertness and good reactions and reflexes. Learning good sportsmanship is a moral gain, I feel, and learning to win or lose gracefully develops boys and girls socially.” and he went on to say sports can contribute to good citizenship through the teaching of courage, self discipline, and persistence. He insisted when youth participate in sports, it acts as a springboard to participation in other educational activities of 4-H.
It’s time to get ready for the annual 4-H softball league! You will find all current information for the most recent 4-H softball season. Information includes dates! Make sure you stay informed!